Brasília is the capital city of Brazil. The city and its District are located in the Central-West region of the country, along a plateau known as Planalto Central. It has a population of about 2,562,963 (3,716,996 in the metropolitan area) as of the 2008 IBGE estimate, making it the fourth largest city in Brazil. However, as a metropolitan area, it ranks lower at sixth. It is listed as a World Heritage Site UNESCO. Brasília hosts 124 foreign embassies. As the national capital, Brasília is the seat of all three branches of the Brazilian government. The city also hosts the headquarters of many Brazilian companies. Planning policies such as the location of residential buildings around expansive urban areas, as well as building the city around large avenues and dividing it into sectors, have sparked a debate and reflection on life in big cities in the 20th century. The city’s design divides it into numbered blocks as well as sectors for specified activities, such as the Hotel Sector, the Banking Sector or the Embassy Sector. The city was planned and developed in 1956 with Lúcio Costa as the principal urban planner and Oscar Niemeyer as the principal architect. On April 22 of 1960, it formally became Brazil’s national capital. Viewed from above, the main portion of the city resembles an airplane or a butterfly. The city is commonly referred to as Capital Federal, or simply BSB. 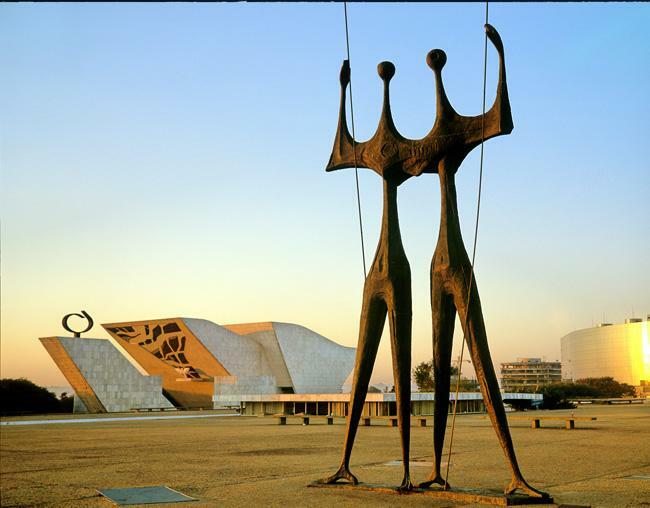 Residents of Brasília are known as brasilienses or candangos (the latter referring to those not born in the city, but migrated there when the city was established). In local usage, the word “Brasília” usually refers only to the First Administrative Region within the Distrito Federal (Federal District), where the most important government buildings are located. Brasília has a unique status in Brazil, as it is an administrative division rather than a legal municipality like nearly all cities in Brazil. Nationally, the term is almost always used synonymously with the Brazilian Federal District, which constitutes an indivisible Federative Unit, analogous to a state. There are several “satellite cities,” which are also part of the Federal District. Brasília International Airport is the main airport in Brasília, connecting the capital to all major Brazilian cities and many international destinations. It is the third most important airport of Brazil, in terms of passengers and aircraft movements.